Thank you lovely. It’s very much in progress and my camera stinks at capturing the warmth of a room or anything at the macro level. I actually wanted to ask you about that because your food pics turn out so nice. Do you use your phone or do you have a specific camera that you go to for your beautiful shots? You are so much more talented than you realize girl. Don’t give up on the food blogging ever (unless you stop enjoying it of course). You are amazing honey! I snorted when I read your man’s comment. I met a guy the other day who used the word “applique” in a sentence with total comfort. That guy can give us design feedback. Black socks with shorts and slippers men cannot. Looking at the chimney picture I cannot help noticing that there is nothing from Star Wars. What is wrong with you? I would also add an Astros cap. This is just a guess, but I have a strong feeling that you, too, are wearing a white undershirt, ratty shorts, grandpa slippers and tall dark socks at the moment. Don’t bother telling me I’m wrong. We both know that I’m right. 😝. Happy new year darling! By the way, jokes aside, I do love your fireplace!! There is always need for a feminine touch in decorating. Jajaja. I had a couple more suggestions but ok I´ll keep my mouth shut. My decorating wisdom is not appreciated. Happy New Year! -38??? What the eff woman? Did you move to the moon???? Thanks for sharing your frustrating moments in such an entertaining way. We all have those freak-out moments so don’t be so hard on yourself. Next time, throw the damn sticks in the fireplace and turn it on and then go shopping for something new and have some chocolate cake (or ice cream). It works! 🙂 Seriously, better days are ahead. You’ve dealt with a lot of change and trauma (floods) recently. Those can leave anyone feeling raw. You got this! Great post! – men and there comments, eh? Especially on interior design! 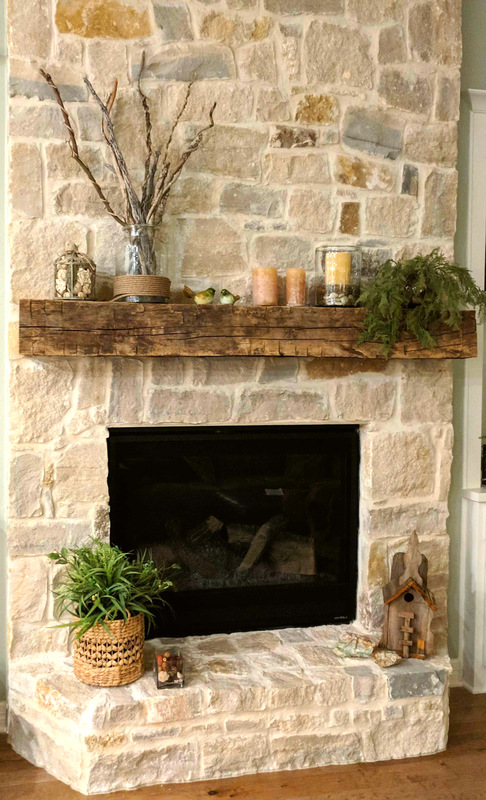 When I saw the picture of your fireplace I thought, love the stone work, candles and then i noticed the sticks, and thought …perfect! And this is a genuine response, so well done you! Is that your fireplace? It’s fabulous! Thank you darling! I hope that you are well! Ironically I have moved every single item off the mantle EXCEPT FOR THE STICKS! I’m tackling every other thing and then going back to that one. It’s just funny that only the sticks are still there! I wish that you were here to decorate with me. You have an awesome eye for it! I, too, struggle with OCD and have a husband who takes the brunt of my wrath!